Put the blueberries on the skewers. Mix the sweetener and the low fat Greek yogurt together. 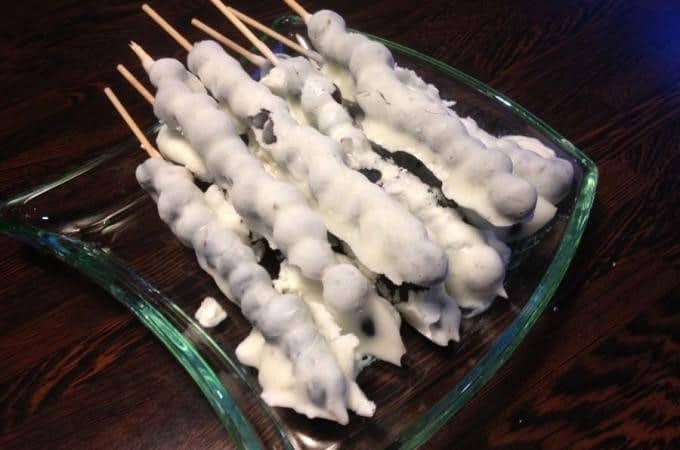 Cover the blueberry skewers with low fat Greek yogurt.